Our education solutions range from identification and visitor management solutions to pupil absence, injury and lateness recording systems. Kalamazoo Direct also provides secure printed cheques (for all accounting packages) and tailored certification printing services. All of our solutions are designed to maximise security your learning environment and can be fully personalised to suit your specific requirements. 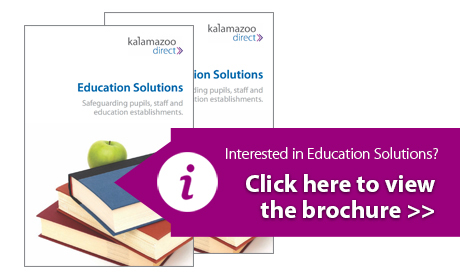 Kalamazoo Direct works extensively within the sector to provide a range of products and services designed specifically for the education market. We have unrivalled experience in providing solutions to help safeguard people, property, documents and finances from security risks and fraudulent activity. Each of our solutions helps to streamline processes, improve efficiency and security, and enhance the image of your establishment.